Register today to be a Virtual Huntsman Hero (Formerly known as Choose Your Own Adventure) this year! Being a Virtual Hero means that if you choose an event not on our calendar, you can still train with the Huntsman Heroes team, still raise funds for cancer research and still receive all the team goodies. Sign-up for either the running or cycling and 100% of all funds raised will go to benefit the life-saving research taking place at Huntsman Cancer Institute. Not everyone is a natural runner- that’s okay! We have people of all different ages, fitness levels, speeds, and experience levels who join us. Everyone can be a hero and make a difference. Training with our either or both of our running and cycling teams on Saturdays! RUNNING: Each year, from November to May, our running team meets on Saturday mornings to train together. We have multiple coaches to help you get ready for your event. Routes are marked, and as the training runs get longer we will have aid stations manned by smiling volunteers. Our team is ideal for runners of all levels. Whether you’re a seasoned marathoner, only have done 5K runs, have never ran before, or would prefer to just walk, there is a place on our team for you. We are all about enjoying the race, getting to the end healthy and strong and making a difference. CYCLING: Each spring our cycling team begins meeting up for distance training rides on Saturday mornings, and technical training rides on Tuesday evenings beginning in April. We have multiple coaches to help you get ready for whatever distance you are wanting to complete. Routes distributed in the days leading up to the training session through a weekly Huntsman Heroes email. As the training rides get longer, we’ll have aid stations and SAG support along the way. Our team is ideal for riders of all levels; whether you are seasoned rider or have never ridden before, there is a place for you on the team. We are all about enjoying the race and making a difference. Fundraising: Every Huntsman Hero agrees to a minimum fundraising goal per their distance when they sign up for an event- but don’t feel nervous. Friends at the Huntsman Cancer Foundation are always happy to help you come up with ideas. Don’t forget to check out the Fundraiser's Toolkit for fundraising resources too! 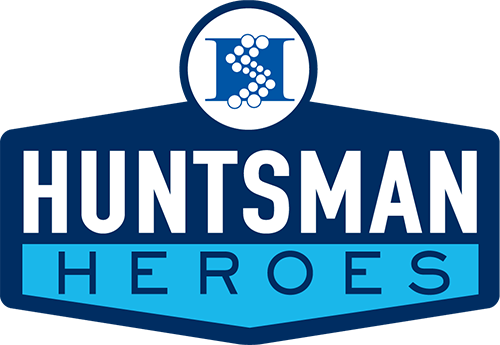 Once you raise the $500, you will receive a Huntsman Heroes team jersey, and for anyone who goes above and beyond by raising more than $1,000 will receive a Huntsman Heroes team jacket at the end of the year.